Just came across this Cajun record. Unfortunately, I can't find much information about the label or Gene Rodrigue. 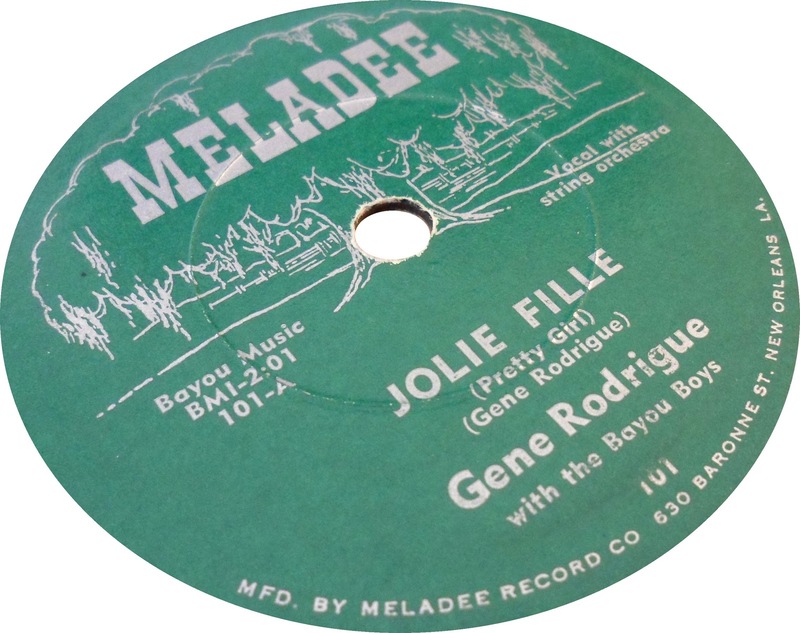 The label has that it was made by Meladee Record Co. located at 630 Baronne St. in New Orleans. 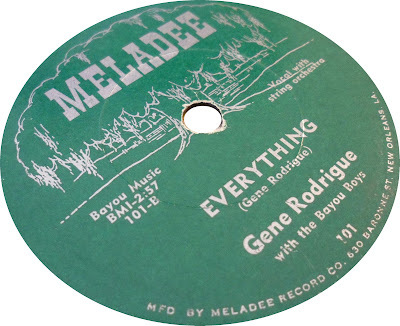 I believe this is the same Gene Rodrigue that also performed under the name "Gene King." You can probably find a lot more information under that name if you're interested. 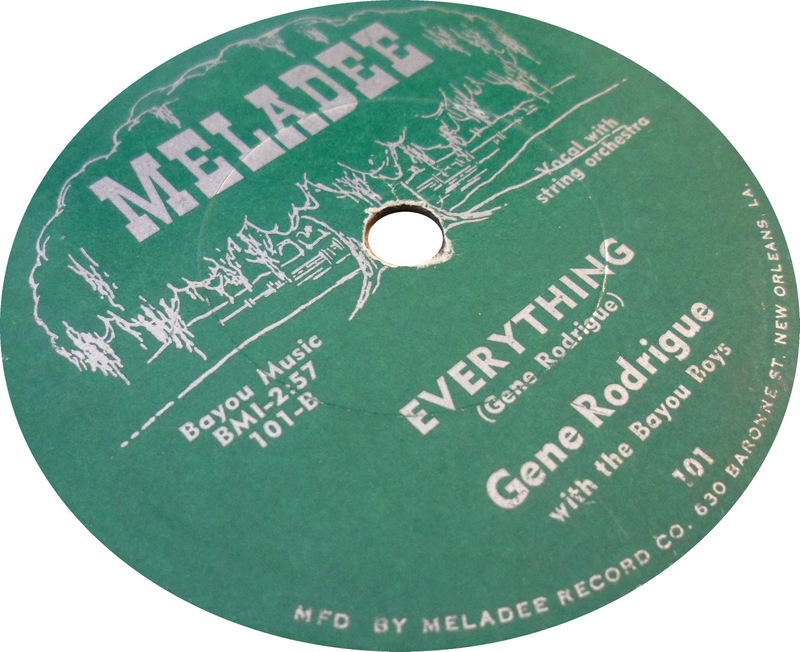 The Meladee label was owned and operated by Mel Mallory in New Orleans, where the famous Cosimo Matassa served as his studio producer. If you ever run across record # M-109 featuring The Four Sharps, I'm very interested to hear how it sounds!